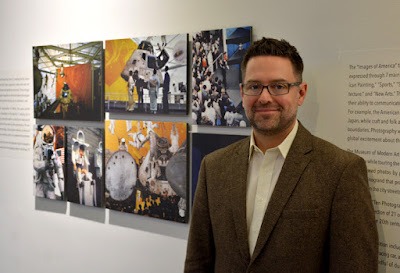 I recently had the honor and pleasure of meeting and speaking with Andrew J. Wulf, Ph.D., Executive Director of the New Mexico History Museum and curator of Make-Believe: America: U.S. Cultural Exhibitions in the Cold War, now on display at the Museum of Design Atlanta (MODA). Dr. Wulf, certainly an expert in his field, is charismatic, engaging and, without question, passionate about design being its own language. I wholeheartedly agree! 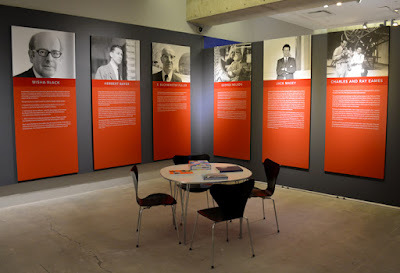 The exhibition also takes a look at the crucial years of American exhibitions abroad, beginning with the formation of an official system of exhibiting American commercial wares and political ideas at trade fairs, through official exchanges with the U.S.S.R., to pavilions at World's Fairs and finally to museum exhibitions that signaled a return to the display of founding American values. This exhibition delves into the height of U.S. cultural exhibitions (1955-1975) and demonstrates the ways in which design was used as a persuasive force. 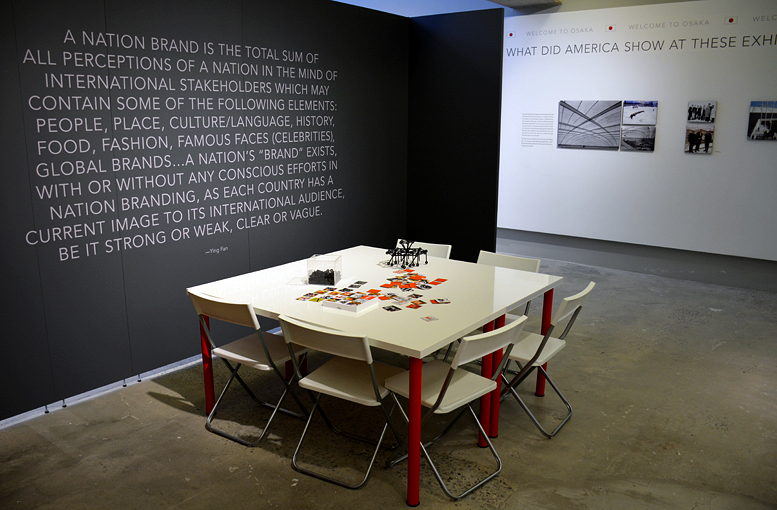 Make-BelieveAmerica provides examples of work created by exhibition teams that included renowned designers such as Jack Masey, Herbert Bayer, Charles and Ray Eames, George Nelson and R. Buckminster Fuller. 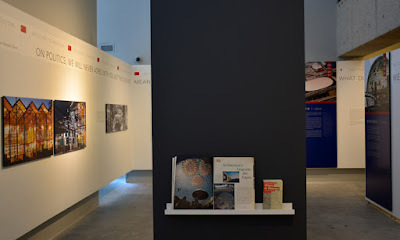 This particular spot in the exhibition (pictured above), at the back of the first gallery on the right, is where I personally recommend visitors begin. The designers noted here are the catalysts and the masterminds behind how America would be viewed by the world from the 1950s onward. As I understand, Jack Masey passed away a few days ago at the age of 94, and was a mentor to Make-Believe America curator Andy Wulf, who attributes everything he knows about cultural diplomacy exhibitions and World's Fairs to Mr. Masey. His passing is indeed an incredibly sad loss for the design world. RIP, Mr. Masey. During Dr. Wulf's tour, he shared many fascinating facts, one of which was that during the Space Race, NASA artifacts displayed at World's Fairs and other exhibitions were loaned just for the asking! Having been a volunteer at the Smithsonian National Air & Space Museum when I lived in D.C., I can't imagine that would be the case today...our space history artifacts are far too valuable to casually lend out! At the 1970 Osaka, Japan, World's Fair, the first World's Fair in Asia, on display were a Moon rock and there was a baseball exhibition featuring one of Babe Ruth's jerseys! Not only were the exhibition designers trying to showcase America's successful trip to and return from the Moon, they were trying to present the lighter side of America. 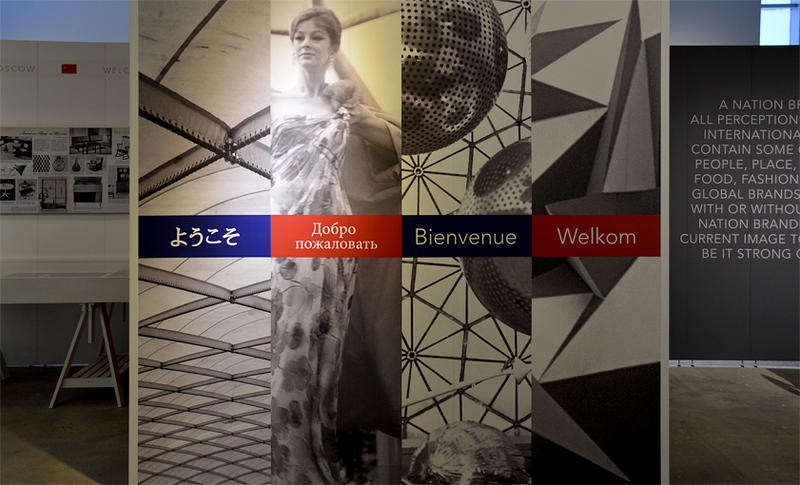 One of the structures at the Osaka World's Fair was quite revolutionary, at the time. It was wholly supported by air pressure! To relieve public concern that "The BAND-AID" might collapse on the visiting audiences, a representative climbed the massive construction and stabbed it with a Samurai sword! It, of course, did not collapse. "...Make-Believe America tells a significant story about how there was an interesting time when 20th century design itself became a sort of weapon in the Cold War, one used by a country to launch a beautiful image of itself into the world’s consciousness." While this exhibition is light on physical artifacts, it's rich in imagery, the lexicon of design and information about a unique time in America's history. I found it quite fascinating and think you will, too! Go see Make-Believe: America: U.S. 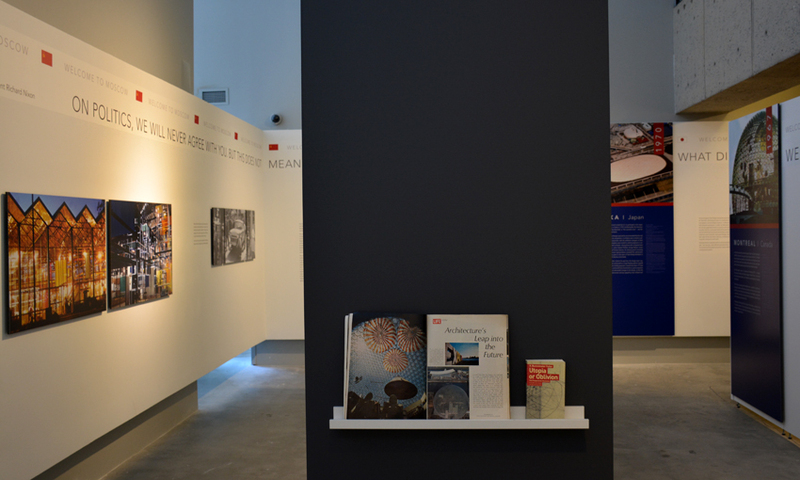 Cultural Exhibitions in the Cold War at the Museum of Design Atlanta (MODA), now through June 12, 2016. I think you'll be amazed at what you discover!